So, you’ve finally booked your trip to one of the world’s top gambling destinations – Las Vegas, Monte Carlo, or even on a cruise ship – it would be rude to not give gambling a go, wouldn’t it? Except gambling can be very daunting for a newbie, but it doesn’t need to be! 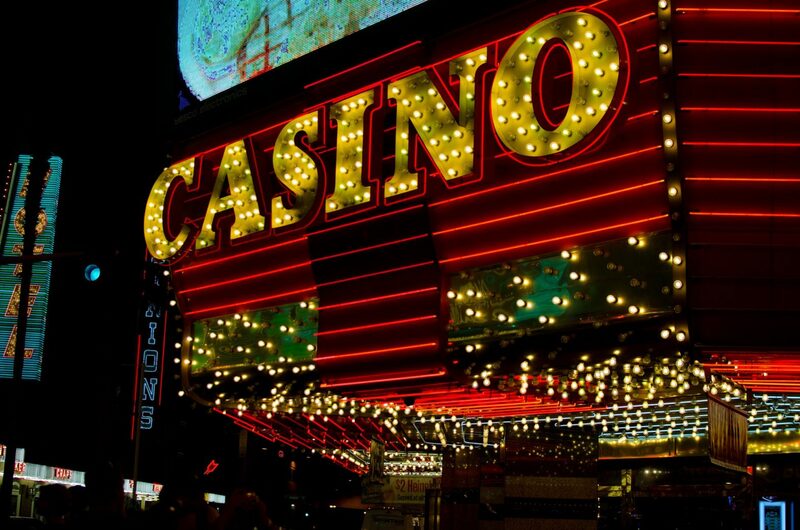 With that in mind, here’s some top tips to help you survive your first casino visit. While I can’t guarantee you’ll make a tidy profit on your visit, these tips should help you have more fun! One of the reasons you may feel a bit apprehensive about hitting the casino is the simple fact that you’ve never played before. Fortunately, the online casino industry has grown massively in popularity since its inception in 1996, and now competes heavily with its offline counterpart. All it takes is to sign up for an online real money casino to get a taste of popular casino games. But don’t worry if you don’t want to spend money straight away – many offer practice modes to get the hang of the game before you put down any real cash! When you’re on holiday, it’s good to set a budget. A casino holiday should be no different – you can only gamble what you can afford to lose. It can be tempting to get carried away when you’re in there, but the worst thing you could do is spend your entire holiday fund in one go, or struggle to pay off your credit card bill once you get home. Unless you’re just hitting the casino for one day on your trip, be sure not to spend your entire gambling fund in one go. Spread it equally over the number of days you’ll be there, and you’re more likely to have a great time every day you’re in there. If you’re not especially vigilant about sticking to your budget, then why not withdraw your money for that session and leave the rest of your cash and all your bank cards in your hotel safe? The next thing to remember is the house always has the upper hand, no matter what you play. Yes, players do win big, but remember that the majority won’t, due to the way games are structured – hence the phrase “the house always wins”. Keep in mind that the main reason to go to a casino is to have fun and play games, so don’t let that fact ruin your experience. Keep an upbeat attitude, keep an open mind, and try new things. Winning is just a bonus – not the goal! While you can’t overcome the casino’s edge, there are things you can do to lower it. Practicing online first means you can learn strategies for the games you want to play when you’re there. Next, being disciplined is key. Playing riskier games can give you an advantage if you have enough willpower to walk away when you’re ahead. If you’re not confident in developing an effective strategy, a safer option is to play games that have a lower house edge. Give Three Card Poker, Baccarat or Blackjack a go, where the house edge is on the low side at about 1.5%. Casinos like to know how much people are wagering, as it helps them to keep their edge. On the flip side, the casual casino goer wants to get free stuff and have a good time. Player’s club cards are what combine these two ideas, and can give you a much better experience as a result! When signing up for one of these cards, casinos offer new players a range of benefits, such as free games, free meals, and other incentives. You also get benefits based on what wagers you’re putting down. If there’s one thing you should do to get lots of free stuff, be sure to use your card every time you gamble. There’s plenty of conspiracy theories out there, for example that you’ll win less if you use your card. But the fact is the player’s card is one of the ways you can actually win at the casino. If the worst should happen and you don’t win a single game, at least you have the chance to grab a free meal as a consolation prize? Are you a regular in the casino and have some helpful tips for beginners? Let us know in the comments below! Thanks for sharing this. You also get benefits based on what wagers you’re putting down.